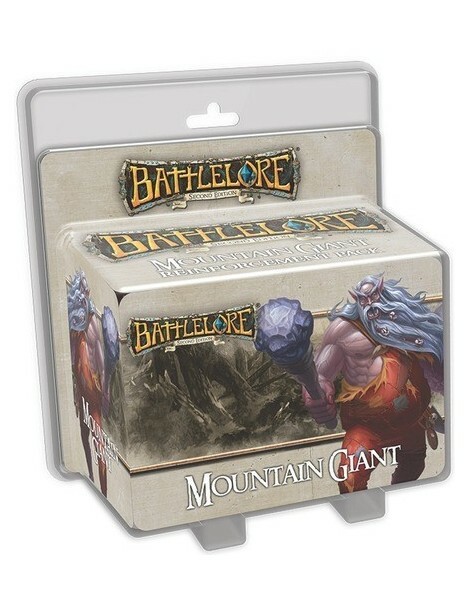 Bring the might of a Mountain Giant to your army with the BattleLore (Second Edition): Mountain Giant Reinforcement Pack! 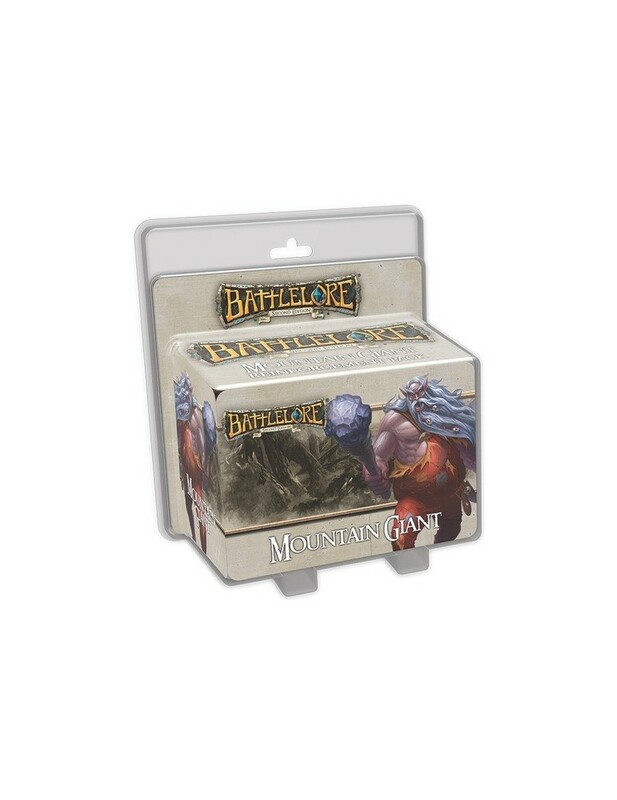 This Reinforcement Pack features a Mountain Giant that can be included in any army, alongside three new lore cards to customize your lore deck and a unique terrain tile. With the Mountain Giant at your side, you can hurl massive boulders at the enemy, or even use the Mountain Giant's crushing blows to reduce occupied buildings to rubble! What's more, this Reinforcement Pack includes a pre-built scenario: "The Sound of Thunder". In this scenario, the Uthuk Y'llan call upon the power of the Mountain Giant in order to liberate prisoners captured by the Daqan Lords. 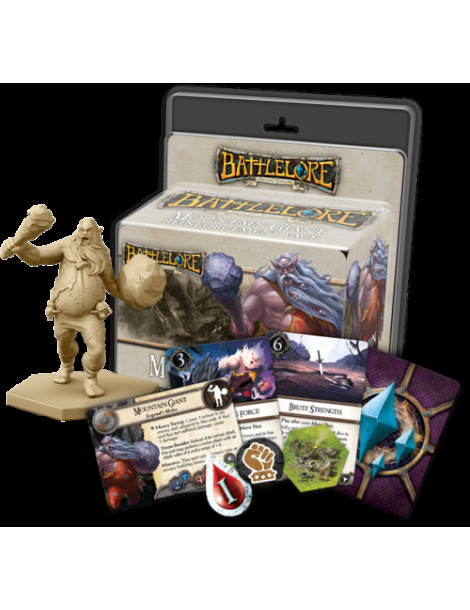 Whether you use the Mountain Giant in this scenario or muster him with your army, he brings an undeniable threat to every game of BattleLore (Second Edition).